In the beginning of summer I became a brand ambassador for Woolpro, I got to test two of their new products and share my opinion on them. The first one is the Juno lightweight baselayer merino t-shirt. At the start of June me and the family moved to Japan for extended stay and a trip. Goal was to see the country, learn language, hike, climb and have a good time. My testing involved three different uses of this baselayer. Daily running, trail running in the mountains and hiking/climbing in the mountains. I ran in Juno usually in the morning, usually from 6 to 10 km, with elevation gain and drop of a 100meter or so. Temperature and humidity varied, from nice and cool to blistering hot and sauna level humid. On a few occasions I used a windbreaker shell to stop wind and rain. Juno is really the best Merino layer I used for running, things I tried before were just too warm. The fit was excellent and in general it performed great. However there is a reason synthetics exist, in the really brutal hot and humid conditions when your body is pumping out sweat to try and keep itself from overheating, good synthetic can transfer moisture faster. Merino tends to get saturated with sweat and this leads to chafing on the skin. Except in very humid and hot conditions Juno is great for runnning. The t-shirt feels comfortable to the skin, resilient(no damage to far at all). Is light and does not stink! However when running in very humid conditions I would still pick a synthetic. Since I have about half a dozen different tshirts for running I basically use Juno all the time except when it is very hot and humid. 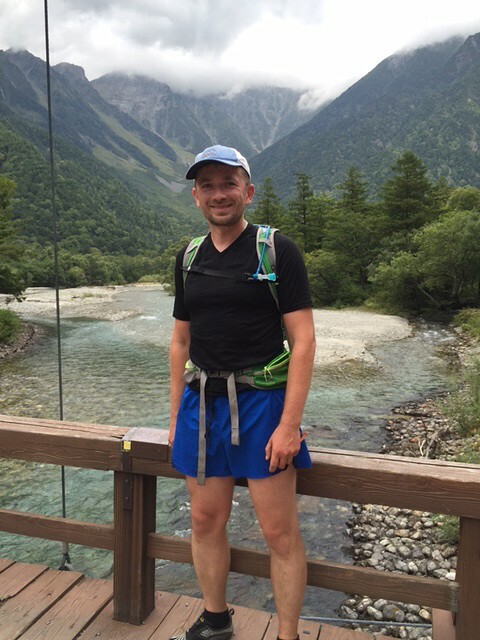 I ran few trails in Juno the longest being a classic way into Kamikochi Valley, the Tokuga Toge pass. Running this trail I got lost and wondered up some abandoned trail to nowhere, scrambling up river, bushwhacking etc. Biggest difference in this application is that in the mountain the air is cooler and you often wear shell to protect against wind. In my case I started out with a shell and is it got warmer I removed it and went with only Juno and running shorts. The full length of the trail and my detour was 30km. Strava Showed 2.8km elevation gain(bu I suspect it was less). On my way back I took a bus still wearing Juno, I am sure people sitting close by were happy it was not a synthetic! Absolutely no complaints worked great as a short sleeve t-shirt. However in the future I will probably get a long sleeve version of it. Few reasons. 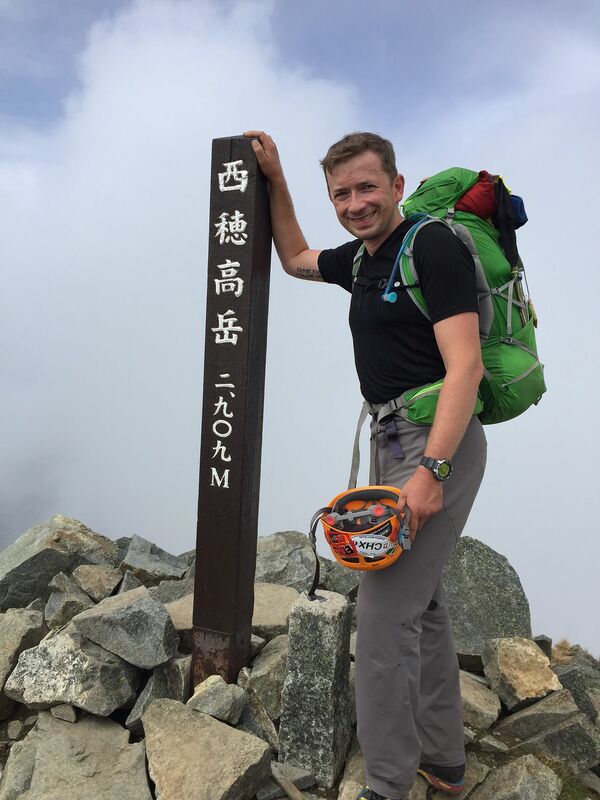 Japanese mountains are full of plants with nasty thorns, when bushwhacking this is a big issue. My forearms looked like I got into a fight with a cat. When wearing shell you really need coverage so that sweat is transferred off the skin. Lastly when running for a long distance the sunscreen washes out from tons of sweat and as you get higher up the UV is quite strong. Great trail running top, but the long sleeve version would probably be somewhat better. When descending and running fast it is probably better though, wind felt nice on the arms. I did a few trip using both Juno and Helios(separate review). Hiked Shirouma through the Daisekke route, Training hikes on Takabochi and long hard(for me!) 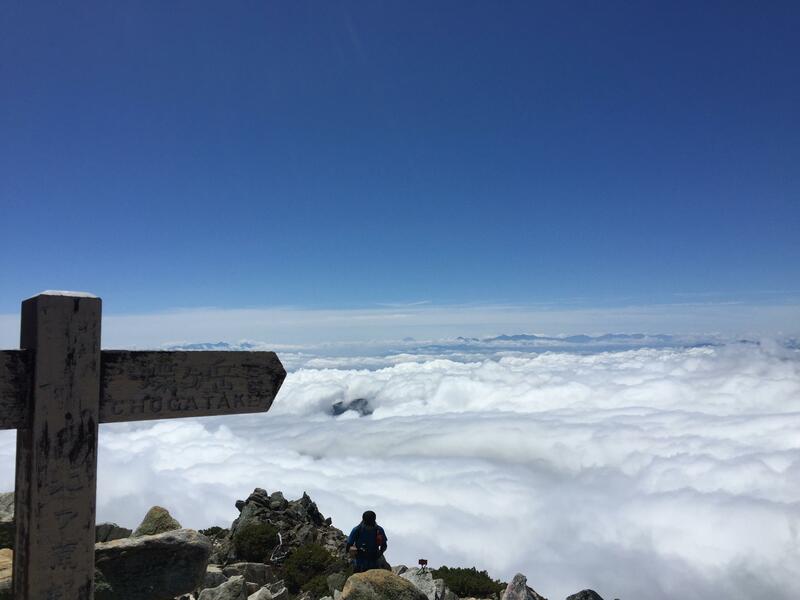 traverse of Oku Hotaka to Shin Hotaka(known here as the Gendarme route). Except Hotaka I was wearing a Windstopper shell, on Hotaka I switched to a Patagonia softshell. 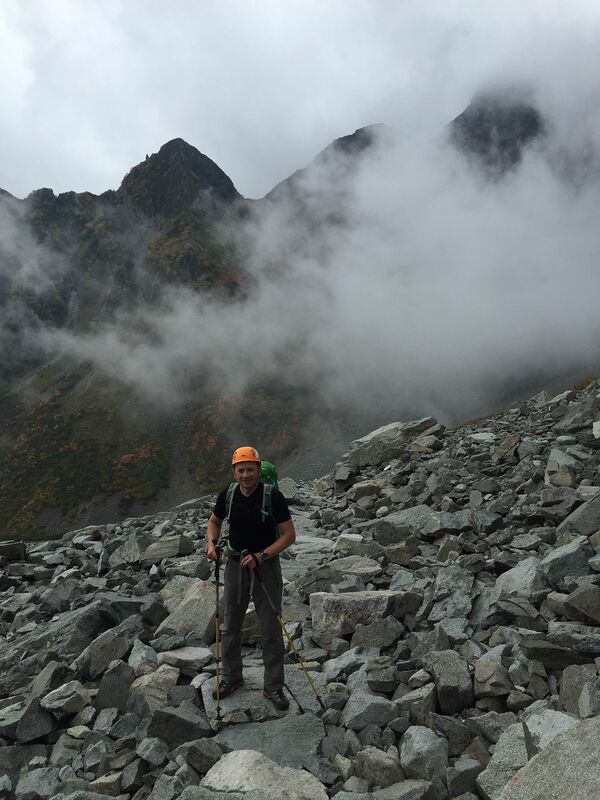 Hotaka traverse, had a first day approach with gaining about 1.6km and lasting about 9 hours. 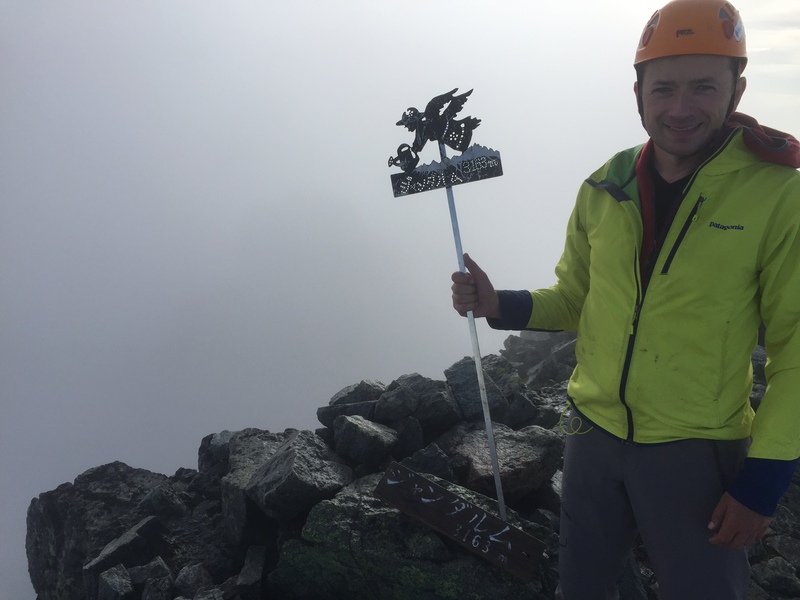 Then an 11 hour traverse and heading back down to get on a bus out. Traverse itself is a lot of scrambling up and down loose rock, the really hard section where rope would be necessary are equipped with chains. When it was colder I was layering Juno with Helios hoodie on top of it. As I was warming up and cooking in the morning I was also wearing artificial insulation jacket under the shell. Probably the best use of Juno. Together with Helios you get good control of warmth. You are not running and it is cooler so Merino can deal with sweat quite well. Juno feel great when climbing(meaning you don’t feel you are wearing it at all). Juno is an excellent baselayer. The only situation where I feel synthetics are better are when running in hot and humid weather. For layering alone under a shell it is probably best to get a long sleeve version of Juno, Skylark. 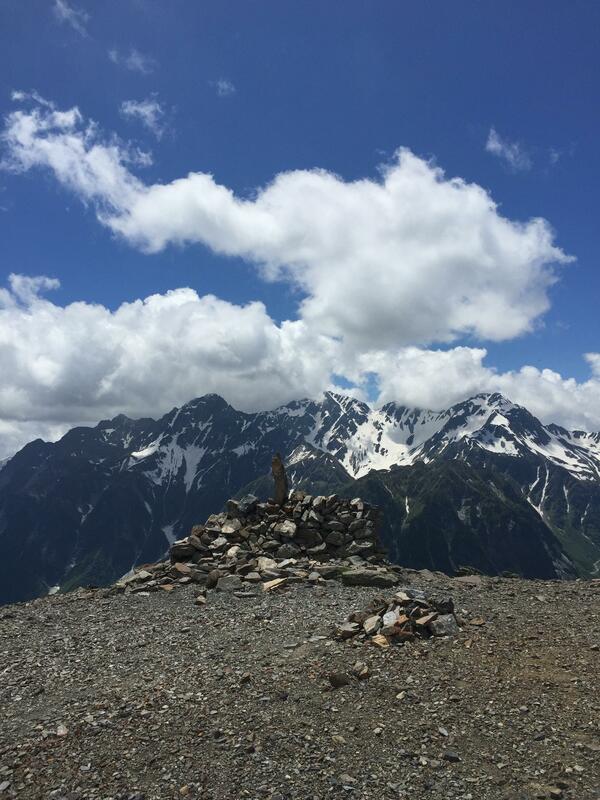 Excellent long hike great views of Yari and Hotakas. Following the trail leading from the parking lot to Mae Jonen, you climb through forest that changes in character as you gain elevation. As you see more and more evergreens you know you are getting close and passing the 2000m mark, once the view opens up it is breathtaking. 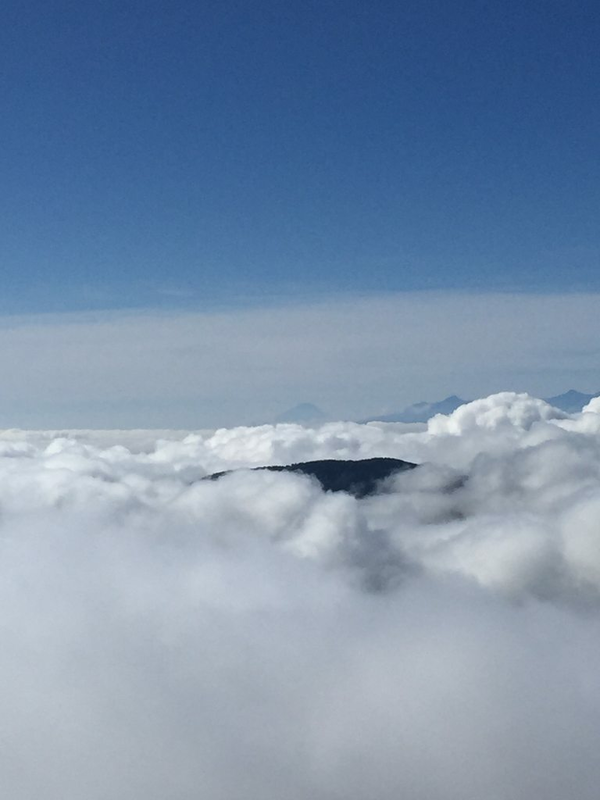 In the south west you can sometimes see Mt Fuji peaking above clouds! 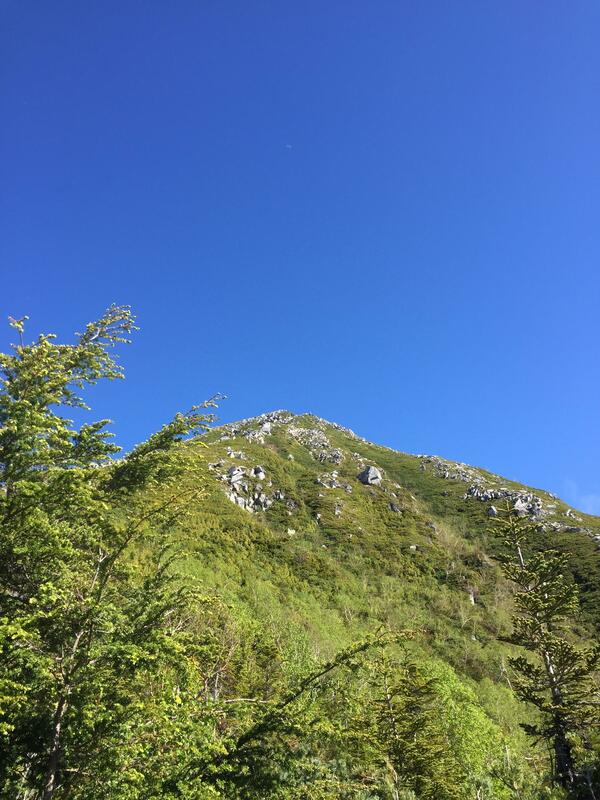 Once you gain the ridge and only thing growing around is the Japanese pine and flowers, it is a short traverse over and up to the Mt Jonen itself. With spectacular view of Yari gatake and Hotakas. Rest take in the scenery then head towards descending traversre to Chogatake with appropriately beatiful views of surrounding mountains. Trail is well worn and easy to follow. As you approach Chogatake you will find a small area with a big stone marker marking a place where climbers died in winter in a storm. From there it is a short walk over to the Sanso and the welcome beer. 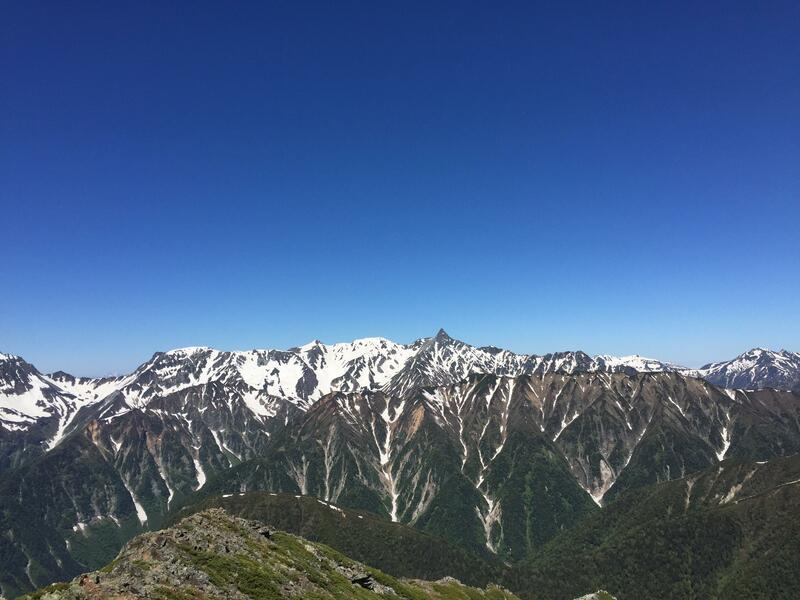 Take a break enjoy the gorgeous view of Hotaka and the famous Godzilla scale Mae Hotaka climbing route(one day!). Bag the Chogatake “peak” then head down the trail back through the forest. Take care early in the season you will be crossing a some snow. Chogatake translates as Butterfly mountain, you will see many of them everywhere as you spend next few hours descending. Take picture, look at flowers rest as needed. Eventually you get to a lookout with a nice view of Azumino through the valley. Another hour or so and we are back to the river and short walk over back to the parking lot. You are done. Whole trip took us about 9 hours. There is a lot of going up and down, but advantage is carrying lighter pack and moving faster. Postgres is an excellent open source RDBMS. Here is a simple approach to have a setup for your API or integration level tests with Mocha. First we need a snapshot of the database you want to test against. Depending on database size the setup step can be not as fast as we wish if we try to use production size database there. For normal constant testing I found using a simpler dev database simple and faster. It is however possible to setup different snapshots to run the tests as background automated process that will not drive you nuts when you make modification and want to run a quick test. If you have tried using Siege to test your app on heroku you probably realized that something is not right. Blitz plugin makes this pretty easy, even a developer can do it. Done. Next we can integrate this into our process on continuous deployment (once I have this polished for my own app I will post about it). There are many things you can test as well, different regions (very interesting to see how this works from Singapore and Japan). You can see what happens when you scale your app to multiple Heroku workers as well. Copyrights © 2016 Dmytro Yashkir. All Rights Reserved.